Four males and one female will represent Bermuda in the upcoming World Optimist Championships in Cyprus. Christian Ebbin who www.islandstats.com reported back on Friday August 10th won the Volvo Gill Optimist British and Open Championship Senior Fleet will be looking to continue that form. 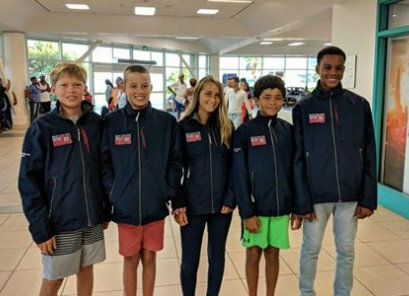 Also representing Bermuda will be Sebastian Kempe who finished 15th overall in the Championships, Ahzai Smith and Magnus Ringsted are the other two males competing, while Leyli Walker will compete and look to finish high in the Fleet among the females.